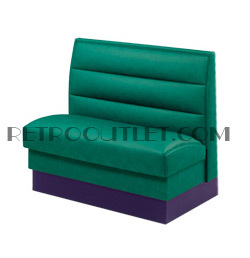 The Bel-Air Diner Booth features a fully upholstered booth with a smooth inside back and a classic high base design. 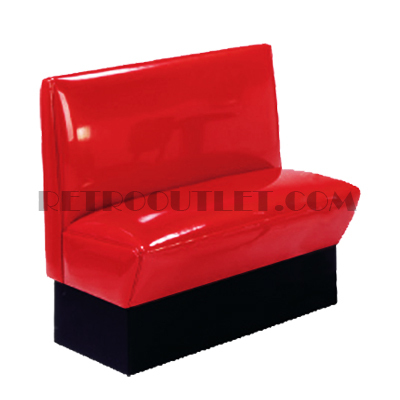 Available in your choice of standard and designer vinyls. 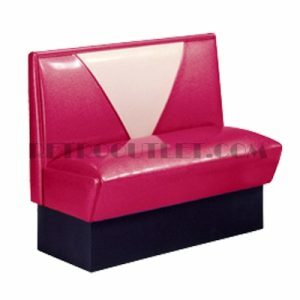 Our Bel-Air Diner Booth is pictured in the very popular Burgundy (Red) Zodiac Vinyl with matching Piping.